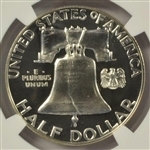 Simply amazing, basically flawless and Cameo Proof 1956 Type 2 Franklin Half Dollar. 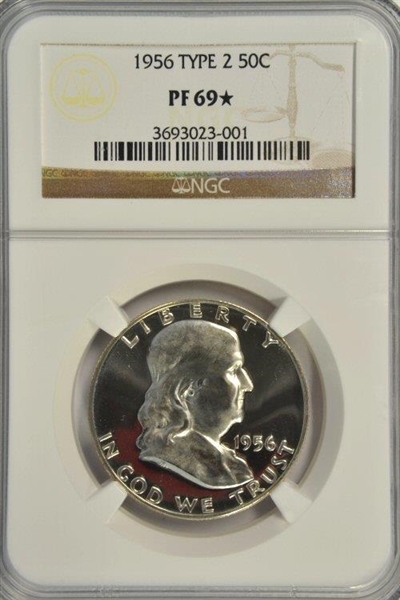 NGC certified and encapsulated as PF69* with the Star indicating extreme eye-appeal and Premium Quality. For the collector/investor who demands the very best.